Is India ready for a Japan-like catastrophe? INDIA is constructing six nuclear power plants—two each at Kudankulam in Tamil Nadu, Kakrapar in Gujarat, and Rawatbhata in Rajasthan. Together, they will generate 4,800 MWe of power, states the Atomic Energy Regulatory Board’s website. This is a big leap towards enhancing the country’s nuclear stature. 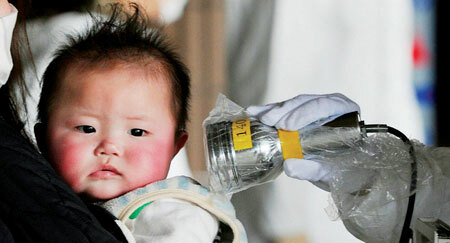 But is the country equipped to face a nuclear radiation disaster? To manage nuclear and radiological emergencies the National Disaster Management Authority (NDMA) framed guidelines that were notified in February 2009. The guidelines mention a thorough “gap analysis” in management plans. A vital gap is lack of resources for disaster response. For instance, to evacuate people from affected areas district authorities need adequate vehicles, shelters, monitoring instruments and personal protective gear. A very small percentage of these are available, the guidelines state. “To handle any nuclear or radiological emergency, the foremost requirement is availability of instruments for radiation detection and monitoring,” it says. It also mentions that the 18 emergency response centres established by the Bhabha Atomic Research Centre (BARC) are inadequate. There is not much by way of medical preparedness. Timely and effective medical response is important to minimise deaths and also alleviate the fear and sufferings of those affected. But since there are very few radiation-related incidents, doctors who can treat them are only a few. “NDMA has asked state governments and medical colleges to offer such courses. At present, only very few doctors can handle radiation sickness,” says B Bhattacharjee, member of NDMA and former director of BARC. “India has a long way to go in nuclear disaster preparedness,” he adds. The guidelines also point out that there is an “urgent need” to strengthen the regulatory and security aspects of radioactive material. Apart from nuclear power reactors, radioactive material is used in research, medicine, agriculture and industries. Such use can cause disaster. “While using radioactive material in areas other than nuclear power reactors, chances of a disaster are minute, but not zero,” says M C Abani, nuclear specialist, NDMA. This is the reason every state must be prepared for a disaster. “When radioactive material was found in a scrap market in Delhi’s Mayapuri area, lack of preparedness led to panic and death of one person,” says Abani. Medical preparedness, evacuation plan and resources are crucial requirements to contain the impacts of not just nuclear but all kinds of natural disasters. But nothing much has been initiated in this direction. Natural and manmade disasters have killed innumerable people in independent India. Thousands have lost their families and homes. But formulation of a sound plan to manage disasters has never been a priority for the government. Preparedness and mitigation of disaster remains mostly on paper, says a senior official at the NDMA who did not want to be named. After a super cyclone hit Odisha on October 29, 1999, the government asked a high-powered committee to review existing arrangements for preparedness and mitigation of natural disasters. The day India was celebrating its 51st Republic Day, Gujarat witnessed an earthquake measuring 6.9 on the Richter scale. It killed 20,000 people. This elicited a chapter on disaster management in the 10th five-year plan. Then again, an undersea mega-thrust earthquake in 2004 triggered a series of tsunamis killing over 200,000 people in the eastern coast of south India. The Central government promptly formed the Disaster Management Act in 2005. But more needs to be done. A detailed micro-level action plan needs to be formed for help to reach the site of disaster on time. Government created disaster management authorities at national, state and district levels—NDMA, State Disaster Management Authority (SDMA) and District Disaster Management Authority (DDMA). But as many as 11 states, including Chhattisgarh, Haryana, Himachal Pradesh and Jammu and Kashmir, have still not constituted them. Those that did, cared little to make them functional. Similarly, very few DDMAs have been constituted yet. These authorities are required to make plans that can work as the “basis to mitigate any disaster in India. They also detail the vulnerability of areas to different forms of disasters, and define roles and responsibilities of departments in the state government,” says Santosh Kumar, professor at the National Institute of Disaster Management, Delhi. “Disaster management plans should be made after assessing a state’s vulnerability,” NDMA’s guidelines state. An important tool to understand disasters is the Hazard Risk and Vulnerability Assessment (HRVA). It is important for policy makers and administrators for making crucial decisions. But a technical consultant on emergencies with the NDMA says, “Most of the government’s plans are shoddy as they are not based on detailed analyses like HRVA. State governments shy away from carrying out HRVA because it is an expensive study”. Till date, only Gujarat has undertaken HRVA before formulating its disaster management plan. It has prepared a composite risk atlas for the state. The Delhi government invited consultants to carry out HRVA in July 2008, but has made no progress on it. The country’s preparedness for disasters can be gauged from the mock drills conducted from time to time. A deputy superintendent of police was killed in a mock drill conducted by the NDMA in Kerala in January this year. “Drills are conducted not to make people aware of the hazards and learn how to react. They are just false alarms that only create panic,” says a disaster emergency expert. In December 2006, a participant in a mock drill in Delhi was crushed under a fire tender. “If a death can happen in a mock drill, one can well imagine the situation of an actual emergency,” he adds. Thanks for pointing out the error in the story. It should have been over 2,00,000 deaths across Asia. The death toll estimated by the the U.S. Geological Survey from the Dec. 26 tsunami was 275,950 people. But this death toll is for all the countries that were struck by the tsunami including Indonesia and Sri Lanka where the death toll was much higher.